Two dollars guarantees you’ll see an alley-oop pass from Ja Morant to Shaq Buchanan. Three dollars promises you’ll witness Tevin Brown knock down a slew of three-pointers. Another three dollars accounts for the enthralling strumming of an air guitar following a Racer basket. Two dollars practically ensures Morant will defy gravity and throw down a freakish slam dunk. The final dollar? It pledges to provide droves of NBA scouts or general managers attempting to sneak a peek at what many are calling the best kept secret in college basketball. 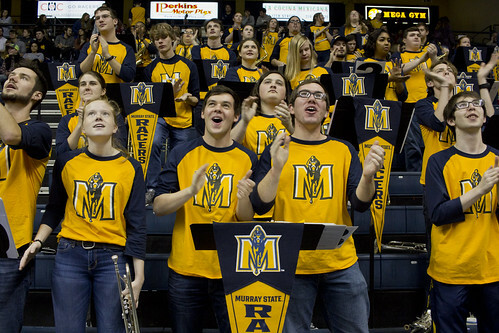 It’s even becoming harder and harder to switch to an ESPN program and not see Ja Morant and the Murray State basketball team adorning your screen. 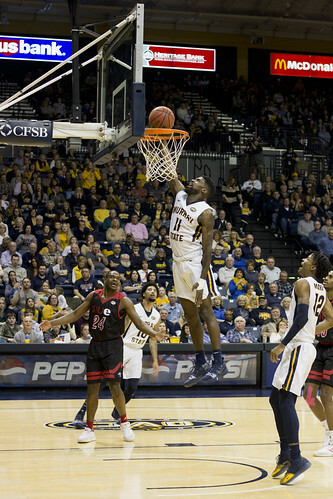 The team has catapulted into the national spotlight in the course of months thanks in large part to the gravity-defying highlight plays Morant churns out almost nightly. The sophomore point guard has already been featured No. 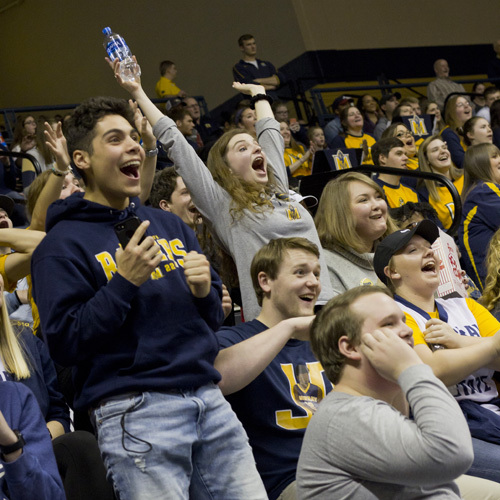 1 on the nightly SportsCenter Top 10 three times, and SportsCenter host Scott Van Pelt regularly shows highlights of the Racers’ games on his 11 PM broadcast. 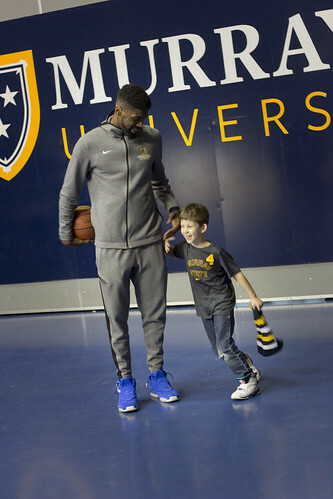 Morant has also been the subject of copious feature stories from renowned outlets like ESPN, Sports Illustrated, Bleacher Report and Yahoo Sports. While Morant is drowning in the media circus, his team—and the University—is reaping the benefits. 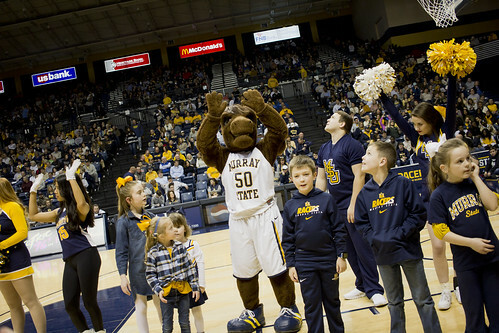 Murray State Interim President Bob Jackson told WPSD Local 6 that since Dec. 1, 2018, Murray State’s basketball team has accounted for $46 million in free publicity for the school thanks to the national coverage of the team. Figures like that seem to explain why all of western Kentucky is buzzing. Not only because of Morant, who ESPN predicts will be picked third in the 2019 NBA Draft, but because of the entire team’s potential. For as beneficial as the positive press has been, the hype has also translated to the win column. Murray State is currently tied for first in the OVC standings with a 17-4 record, with slim losses to Auburn University and the University of Alabama on its resume. 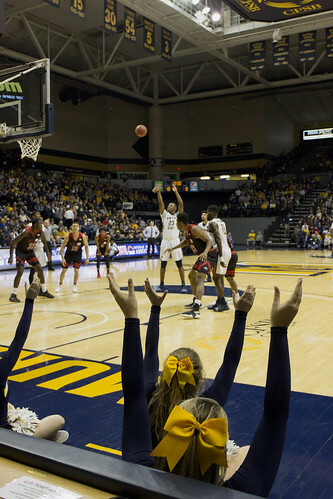 Fueled by Morant’s 24.1 ppg and a nation’s-best 10.2 assists per game, the Racers have found a collective identity in their extraordinary transition ability. Natural athletes like Morant, senior guard Shaq Buchanan, and freshman forward KJ Williams have enabled the team to excel on the fast break, a strength McMahon prides his team on. 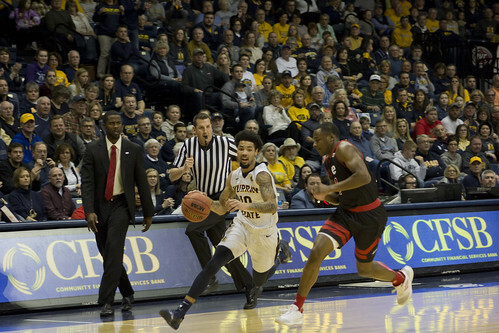 When teams have keyed in on the Racers’ ability to get to the rim, the team has adapted, using sharpshooters like Tevin Brown, who currently leads the OVC in threes per game, to counter. The redshirt freshman’s inclusion into the lineup this season has allowed the team to become two-dimensional offensively, weaponizing an offense known for its inside presence by adding a layer of perimeter shooting. 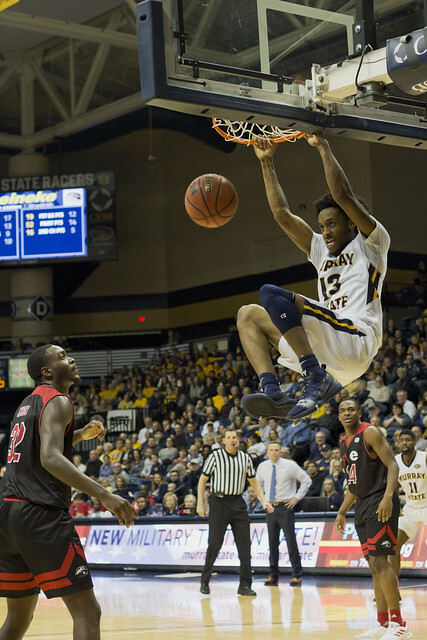 For all of Murray State’s offensive firepower, the team’s calling card lies on defense. 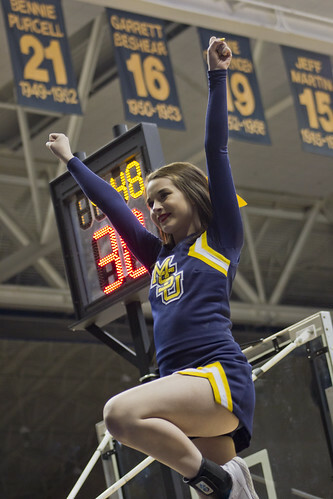 The Racers possess the top scoring defense in the OVC, allowing just 67.3 points to opponents. Five Racers—including three guards—have recorded 13 blocks or more this year—helping the team rank No. 33 in the country in blocked shots with 4.7 per game. Anchoring that effort is senior forward Brion Sanchious. While Sanchious, who oftentimes gets little acclaim on the stat-sheet, his defensive IQ and big body has enabled him to become the proverbial quarterback of the Racer defense. “I guess the best way to describe him would be the middle linebacker of our defense,” McMahon said of Sanchious. “He has to coordinate everything; he has tremendous IQ at that end of the floor and a very good understanding of what the other offense is trying to accomplish from a scouting standpoint. His value is not necessarily in points-scored, but his ability to run our defense and make sure guys are were they need to be. 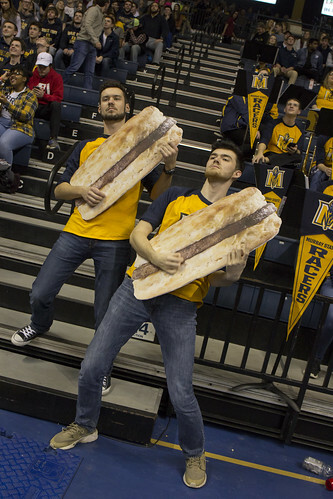 He’s an excellent ball-screen defender, and he’s really been a presence at the rim.” Sanchious’ talents compose a small portion of the winning recipe McMahon has created with this year’s Racer basketball team, and in and of itself, it’s well worth the price of admission. That $11 ticket is unlike any other in basketball. Tucked away in a small Kentucky town, it grants one access to a top roster of players who put on a show like none other. Additionally, you’re granted witness to a top-three NBA recruit whose high-flying skills are making ripples across the nation.